"The album oscillates between Michael Rother's more ambient, minimalist approach and Klaus Dinger's rock-infused abrasiveness that predates punk rock by a year. 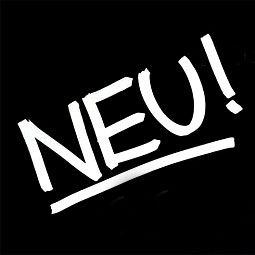 In fact, when Neu! '75 was imported in the UK, it influenced key players responsible for the punk rock movement. "Official reissue in gatefold cover.